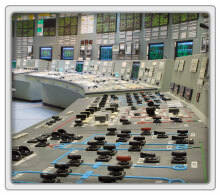 Complete Automation Controls, CAC, provides total automation solutions for sensing and control systems in the aerospace and defense, marine and manufacturing industries. From small, isolated control and sensing networks to full-scale machinery system automation, CAC has the capability to handle any size project. An integrated approach is taken in the analysis, design and implementation of all solutions provided by CAC with respect to innovation, quality, efficiency and time-to market. This approach allows for a complete understanding of client needs and expectations, ensuring superior results. Today’s competitive business environment demands increased efficiency, more intelligent software and control systems, and flawless system execution. Since 2007, CAC has been providing solutions that allow clients to achieve these goals. By streamlining all machine procedures to create the most efficient system possible, CAC will enhance your current processes leaving you with cutting-edge design to keep you at the forefront of your industry. Our consultants are leaders in the automation controls industry with a proven history of providing state-of-the-art solutions to clients like you. Together, our more than two decades of combined experience incorporates the technical expertise and innovative thinking that will make CAC your automation and control service provider of choice. The mission of Complete Automation Controls, LLC is to provide state-of-the-art controls automation solutions that allow our valued clients to achieve their production goals. We will develop meaningful, lasting relationships with our clients by focusing on understanding and meeting their current and future needs. Through our commitment to excellence, forward thinking and adherence to our Core Values, Complete Automation Controls, LLC lives its mission. Excellence – We commit to providing the technical expertise our clients and partners deserve. Innovation – In today’s fast-moving environment, we ensure forward thinking and cutting-edge solutions to lead our clients into the future. Respect – We vow to act with the utmost respect for each other, our clients, our community and our environment. Honor – We pledge to deliver on our promises and engage in business with integrity. Collaboration – We promote teamwork and synergy to maximize our collective efforts. Empowerment – We support our employees and partners on the path to personal and professional fulfillment. Growth – For the benefit of our employees, clients and partners, we commit to realizing sustained growth that will allow us to better live our mission. As a small business, Complete Automation Controls, LLC aims to make a big difference. We provide technological services and solutions to clients in a multitude of industries including food, pharmaceutical, aerospace and defense, manufacturing and industrial automation. We are dedicated to offering world-class system integration and product line support using the most advanced automation technologies available. Complete Automation Controls, LLC is also proud to support the United States Armed Forces. It is a privilege we highly value and we make every effort to provide our military with unparalleled solutions. With automation technology’s crucial role in our modern military, we strive to create and support software that will continue to lead our armed forces into the future.